It is our pleasure to welcome you to our school, and we wish you the best on your journey through the exciting art of Tae Kwon Do. Tae Kwon Do has a long and rich history. It began 2000 years ago as a form of military training, which developed into an Olympic sport and has since become popular throughout the world as a unique form of fitness and self-improvement. 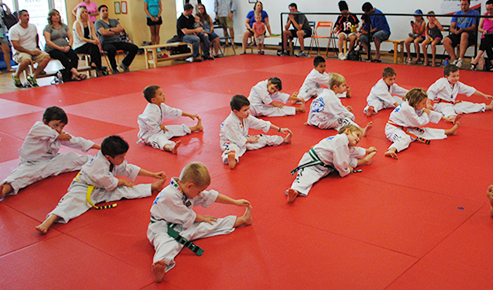 Millions of students, of all ages, have benefited from practicing this form of martial arts. We are very proud of our school and of our staff members. They are among the most qualified, skilled, and hard working Tae Kwon Do teachers in the country. We are sure your interactions with them will be pleasant and beneficial. We are all committed to providing you with a “world class” experience every time you walk through our doors. Acquiring these benefits requires time, effort, and dedication. At times it may be challenging, but all of our instructors are here to help you with your commitment to excellence and offer our knowledge to assist you. Please feel free to discuss any questions or concerns you have with your instructors. We are confident that your involvement in Tae Kwon Do and your selection of our school will be a wise decision with life-long rewards. Once again, welcome and enjoy your Tae Kwon Do experience to the fullest!